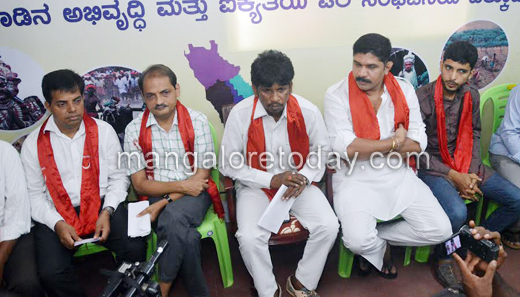 Mangaluru, Aug 28, 2015: The Tulunada Rakshana Vedike has plans to stage a novel protest against the Yettinahole project. 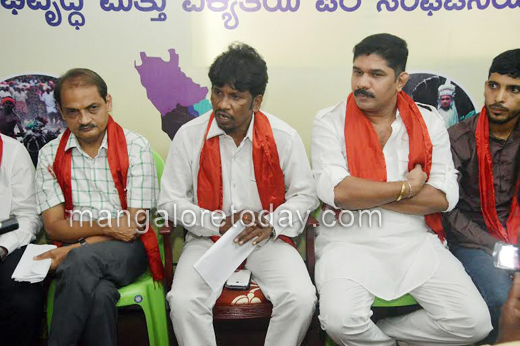 Speaking to reporters on August 28, Friday, Yogish Shetty, leader of the Vedike said the Vedike members would visit different places of worship and offer prayers to the Lord seeking punishment to the leaders and officials who have tried to mislead the people regarding the project. He said the Vedike would launch its protest by offering prayers at Mangaladevi Temple on September 3 followed by prayers at Hazarath Sayyed Bibi Darga, Rosario Church and Koragajja Gudi at Kuttar. He informed that the Vedike plans to take out a Padayatra on September 3 from the premises of Sri Venkatramana Temple A Carstreet while on September 19 a chariot will tour all taluks in the district in order to create awareness about the project. He also informed about the decision of the Vedike to support the NH Bundh call given on September 15 against the project. MG Hegde, social activist called up various organisations to join hands for the cause and fight against the project to save River Netravathi, the lifeline of the district. He also made a request to the authorities to conduct a public hearing regarding the project. A hartal will also be organised if the demand was not met, he warned. Hegde also made an appeal to Dharmasthala Dharmadhikari Dr D Veerendra Heggade as also other elected representatives to fight for this cause. Do the right leave the rest to god. If you people think you are really working hard, you will succeed.